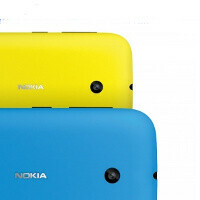 After seeing mentions of the high-end Nokia Lumia 1000, we are now seeing two more new Nokia devices leak out just before Mobile World Congress 2013. The Nokia Lumia 720 (RM-885) and Nokia Lumia 520 (RM-914) have surfaced in Indonesia, and the two devices should be the successors to the Nokia Lumia 710 and Lumia 510, respectively. The Lumia 720 and 520 have actually just passed certification from Directorate Post & Telecommunication Indonesia, the local equivalent of the FCC, on February 06, 2013. Not much is known about the two devices, but judging from the naming the Lumia 720 should be the mid-ranger, while the Lumia 520 would be Nokia’s low-end offering this year. Expected to launch in Q2 2013, we wouldn’t be surprised to see the two devices get an official unveiling at MWC. We’ll be there covering events as they happen, so stay tuned, it all kicks off on February 24th. This company in its way for regaining the lost glory. I can't believe you said that... C7 ????? As i said earlier... Nokia is coming up with enough devices. Reason why they didn't show up at CES. They'd better not disappoint this time!